Today, in Caracas, tens of thousands of Venezuelan citizens will gather to celebrate the swearing in and, consequently, the beginning of a new six-year presidential term for their country. What is different about today, however, is that the president, Hugo Chavez, will not be there; instead, he is fighting for his life in a Cuban hospital in Havana. In one of the most interesting constitutional debates in decades for this populist Latin American nation, the decision to allow Mr. Chavez to rule in absentia will be widely contested for weeks to come, with the repercussions potentially being quite catastrophic. Mr. Chavez, who first won the presidency in 1999 and has held the position since, has been battling cancer for several years now. 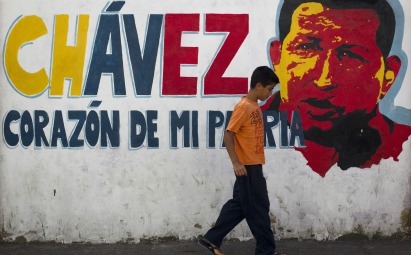 After four serious operations, the first occurring sometime in 2011, Mr. Chavez continues to struggle to return to a level of health necessary to rule a country with somewhat burgeoning strategic relevance in an important developing region of the world. There are myriad issues to address: minuscule oil production in recent years, a growing food shortage, and the need for stronger diplomatic ties with much of the Western world, most notably the United States. Mr. Chavez, who has long been a populist (ruling on the slogan "I am the people") has alienated himself and his country in the eyes of the United States, constantly drawing ire by supporting Iran, China, and many other nations the U.S. has questionable ties to. With much to focus on in the coming months, the decision to allow Mr. Chavez to continue ruling from a hospital bed over a thousand miles away from Venezuela's capital is at best a parlous one. The Supreme Court, which is largely controlled by Chavez supporters (known as "Chavistas") ruled late last night that not only can the swearing in of the president be postponed to a later date, but that there is no time limit on when that date is. Until then, Mr. Chavez will govern through his Vice President, Nicolas Maduro, who has already begun talking to U.S. officials and others in an effort to exude authority. Venezuela may not be out of the dark yet, however. Last September, the Council on Foreign Relations released a contingency plan highlighting some of the possible outcomes of either Mr. Chavez not being re-elected, or becoming to ill to rule or even dying. In the event of Chavez dying or withdrawing from the presidency for health reasons, the contingency plan predicts that with the onset of a new election with new candidates, splinters in the Chavista movement could incite mass violence and a state of emergency throughout the entire country. Bordering Colombia as well as Brazil, violence in Venezuela could become contagious, spreading quickly and causing a serious predicament in Latin America as the rest of the world struggles to quell not only rebel groups taking advantage of the situation, such as Colombia's FARC, but also overzealous military cleansing, like what happened in Argentina during the "Dirty War" of the 1970s. Today, however, is a day of celebration and honor for many of Venezuela's 30 million citizens. As a sign of respect to Mr. Chavez, supporters are flocking to Caracas with sashes, typically worn by the President as he is sworn in. 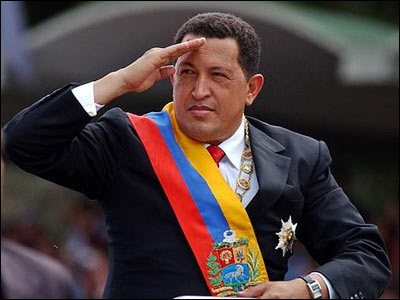 The people will continue to pray for Mr. Chavez as he fights a lung infection, his latest malaise, and the United States is likely joining in with optimism and hope that he makes a full recovery soon and heads back to rule his country for the next six years.